For New York lettering enthusiasts or those who will be visiting the city this summer there are two unheralded exhibitions that are a must-see. The first is “Gorey Preserved” at Columbia University’s Rare Book and Manuscript Library (Butler Library, 6th floor, 114th Street and Broadway). It is on display until July 27. The other is “The Tony & Gerry Show” at Pratt Manhattan, GradComD Exhibition Space (144 West 14th Street, 7th floor). It ends August 9. Edward Gorey (1925–2000) is best known as an idiosyncratic illustrator and writer, responsible for the opening graphics of Masterpiece Mystery, posters for the New York City Ballet and a series of peculiar books. The latter include The Hapless Child (1961), The Curious Sofa (1961), The Beastly Baby (1962), and The Loathsome Couple (1977). All of this is on display and much more. 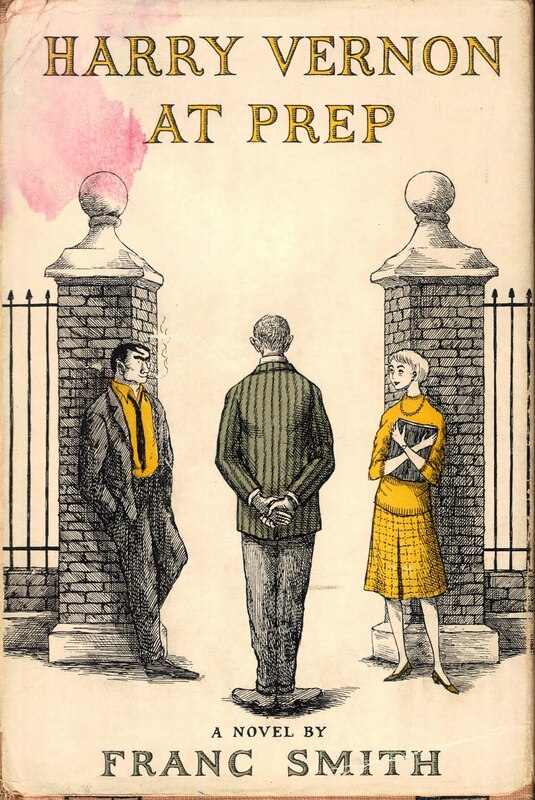 “Gorey Preserved” has over 700 items, including many of the paperback book covers that Gorey designed in the 1950s—for a good sampling of these see the Edward Gorey Book Covers Flickr set—as well as plenty of oddments such as a furry hooded zip-up parka. 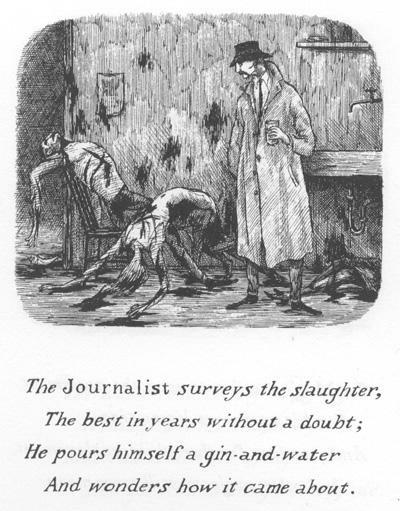 Much of this material showcases Gorey’s Victorian lettering style that intimately complimented his illustrations. The collection was donated by architectural historian Andrew Alpern and Gorey collector. Although access to Butler Library (home of the Rare Book and Manuscript Library) is normally restricted to Columbia students, faculty and alumni, the exhibition is open to the general public. Just tell the guard you want to see “Gorey Preserved”. 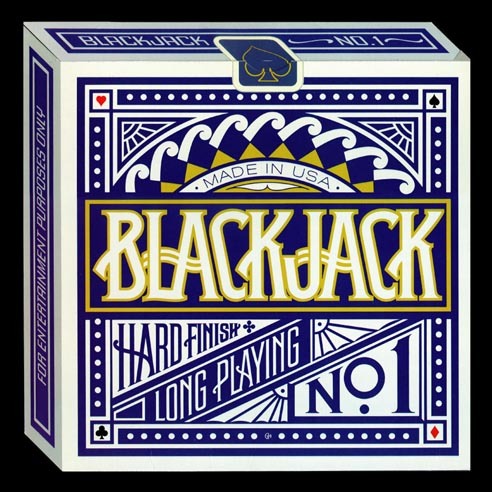 Blackjack No.1 (1979). Album design and lettering by Gerard Huerta. “Tony & Gerry Show” is a stunning display of the lettering work of Tony Di Spigna and Gerard Huerta over the past forty years. There are record albums (vinyl for those born after 1980), magazine covers, posters, logos and typeface designs. And, most fascinating of all, there are comps and maquettes for a number of designs for those who want to see how lettering was done in the prehistoric era of rapidographs, photostats, rubber cement, paste-ups and mechanicals. 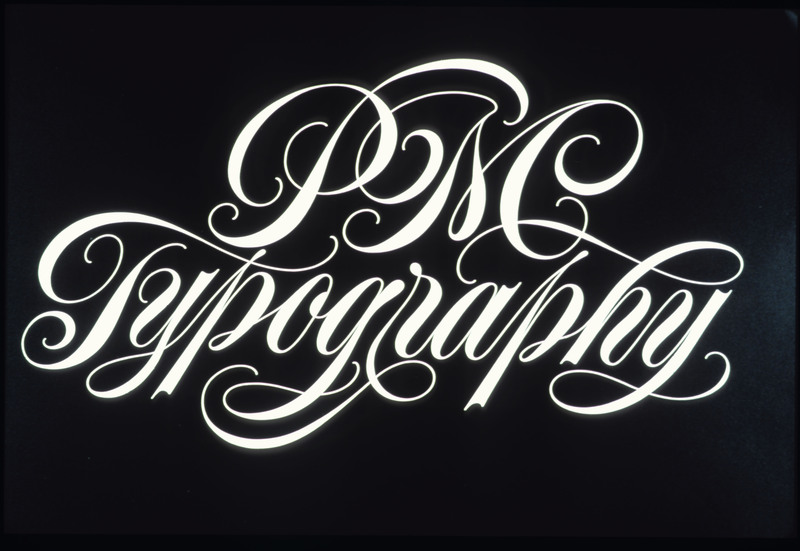 PM Typography (1985). Lettering by Tony Di Spigna.